In most places, it’s too late to plant corn for any kind of grain production, but that doesn’t preclude it from being a good forage option if you’ve got about 70 days or more of growing season left. Corn can still provide better tonnage than many other options and offers high forage quality, especially at about the time it tassels. The downside is that you’ll have to wait for a killing frost to assist in dry down for a silage harvest. There are a plethora of annual options that can be planted in late July or early August in the North — and even later in the South. Spring cereals, especially oats, make for excellent fall forage. Late summer-sown oats are not the same forage as spring-sown oats. Whereas spring-sown oats begin under cool conditions and finish under warm temperatures, it’s just the opposite for late-summer seeding. Oats harvested or grazed in the fall have significantly lower fiber levels, copious amounts of water-soluble sugars, and high levels of total digestible nutrients. Given about 75 days to germinate and grow, oats will yield 2 to 3 tons of dry matter per acre. Nitrogen is needed to ensure high yields and forage quality. Oats grown on nitrogen-deficient soils will be a disappointment. In most cases, 40 to 60 pounds of nitrogen per acre are needed unless manure is applied prior to seeding or you know there will be carryover nitrogen available from a previous crop. 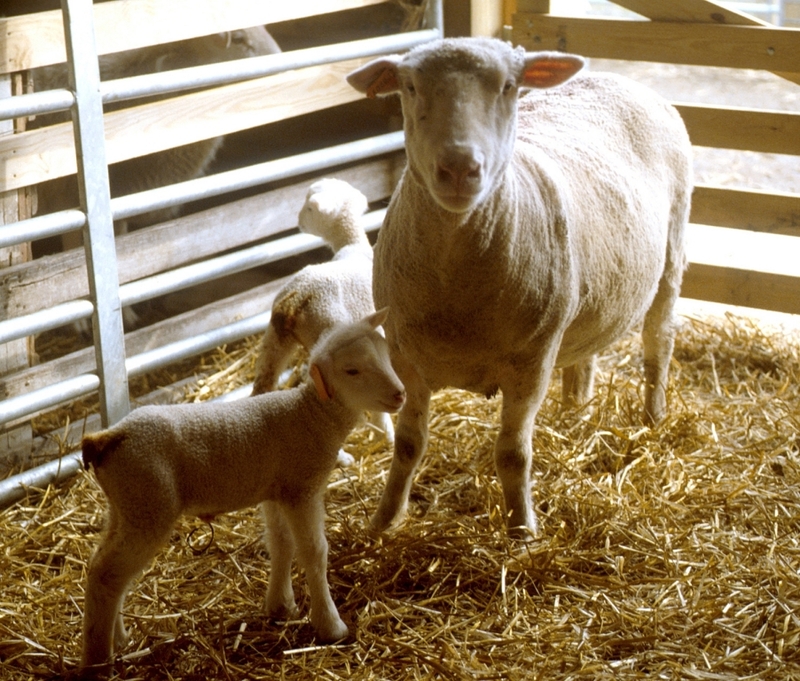 Discuss specific recommendations with your county or state extension specialists. Oats are conducive to any harvest strategy, including dry hay, baleage, and silage. Late-summer seeded oats also make for a great fall or even winter grazing option. Sorghum-sudangrass can still be seeded but it comes with a higher risk for Northern growers. Being a warm-season grass, growth starts to slow as temperatures cool and you’ll want to get it harvested before the first frost to avoid any prussic acid issues. 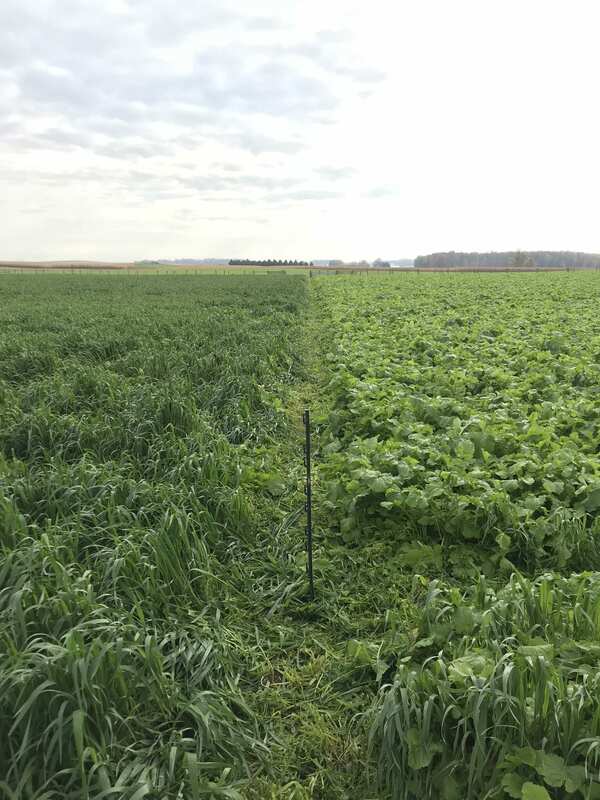 Though they won’t do much to meet fall or winter forage deficits, winter annuals such as cereal rye or triticale will provide additional early-season forage next spring. Here, the planting date is extended later into the fall as the needed establishment period is much shorter. 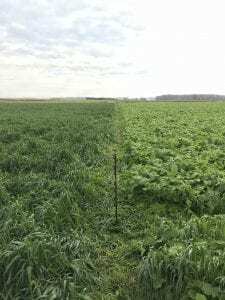 If higher forage quality is desired, triticale is the best alternative. Winter cereals can be utilized for spring grazing or left to grow and be machine harvested. Dry matter yields can be over 3 tons per acre, depending on planting date and harvest maturity. The downside of harvesting winter cereals in the spring is that planting of a subsequent corn crop is often delayed. For this reason, forage sorghum is becoming a popular choice to follow the winter annual where growing seasons are relatively short. Late summer and fall is also an excellent time to seed perennial grasses and legumes. In the North, an early seeding date is of the essence to ensure good root development before winter. Seeding dates will depend on location, but a general rule of thumb is six to nine weeks before the first killing frost. Five weeks is usually the point where you’ll want to keep seed in the bag. As a general rule, recommended seeding and fertility practices for spring seedings apply to late-summer seedings. It is worth mentioning that a firm seedbed to optimize seed-to-soil contact is especially important with late-summer seedings. Harvesting already established perennial legumes and grasses in the fall for hay or silage offers some of the best quality forage to be had all season. Forage seedings made over the next month or two can bolster forage supplies, extend the grazing season, reduce the amount of stored feed that needs to be fed during winter, and provides excellent quality forage. Start the planning process now if you haven’t already done so. Often, good results are tied to an earlier rather than later planting date. Posted by Braden Campbell at 8:00am August 8, 2018 Posted in Forages and Pasture and tagged Forages and Pasture. Bookmark the permalink.